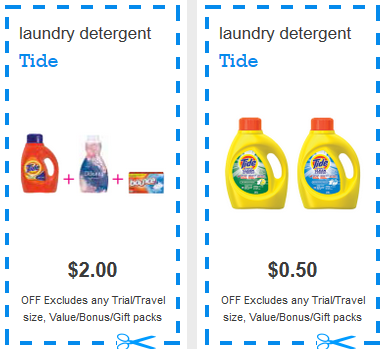 The new coupons for Tide detergents are available on P&G Everyday Canada. With these Tide coupons you will be able to save $5.00 in total for your next purchase of Tide detergents. All the coupons are printable. 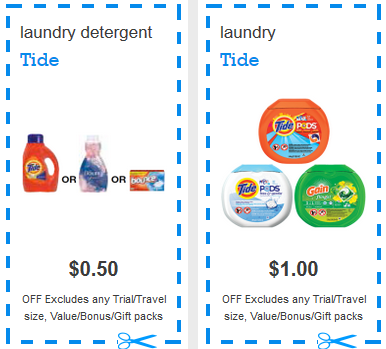 To get the Tide coupons, visit the P&G Everyday site, log in or register, and print the coupons. Just make sure your printer is on and you have the latest version of the software allowing you to print online coupons! Tide is a popular brand for laundry needs. I also use their detergent and other laundry products. We always rush to collect tide coupons to save a lot on their laundry. These don't seem to be for Canada. If you have any for Canada, post a link!